LED, commonly referred to simply as light therapy, produces low levels of light energy. Similar to the process by which plant life converts light energy into chemical energy through photosynthesis, LED devices generate a type of energy through photosynthesis, LED devices generate a type of energy necessary for the repair and regeneration of human cells. Simply put, a light emitting diode is a type of semiconductor that converts electrical energy into light energy that is released in the form of photons (bundles of light energy). The body’s cells have the ability to absorb photons and convert them to the form of energy that cells use to carry out normal functions. This form of energy is called adenosine triphosphate, or ATP. As we age, we produce less ATP, which inhibit cells from performing at peak function. In this way, ATP is a little like fuel for your car; without it, your car cannot go very far. ATP is necessary to power metabolic processes, synthesize DNA and RNA, repair and regenerate cell components, and foster cell proliferation. In addition to building proteins like collagen and elastin, ATP is critical to maintaining homeostasis for cell stability and the facilitation of healing. The most common uses for LED include acne reduction, controlling inflammation, increasing skin circulation and stimulating collagen production within the skin. To fully appreciate the credibility of LED its important to be familiar with the study conducted by Dr. Harry T. Whelen at the Medical College of Wisconsin (Milwaukee) in conjunction with NASA’s Space Product Development Program at the Marshall Space Flight Center. The original focus of this study was on plant growth in space using LED to induce photosynthesis, but was later adapted to the potentially beneficial effect of LED Light therapy on cancer patients. During the 1990’s NASA-sponsored research to determine that an LED light system could provide the necessary wave-lengths and intensities to produce photosynthesis and grow plants in space. NASA subsequently discovered that LEDs could address astronaut health by maintaining strong cell growth, preventing bone and muscle loss, and boosting the body’s ability to heal wounds. 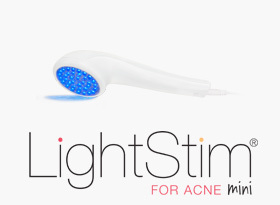 Blue Light: Blue LED light in the 405-430 nm range, is known for its ability to reduce acne without side effects or irritation. As previously established, P. acnes bacteria form proteins called porphyrins. When porphyrins are exposed to specific wavelengths of light, particularly in those in the blue to red portion of the spectrum, they produce a singlet oxygen molecule which in turn destroys the P.acnes bacteria. Red Light: Red light, in the 660 nm range, is known for its capability to reduce inflammation and improve circulation. All skin conditions can be triggered by inflammation, making red LED beneficial for anyone without any contraindications to the treatment.